The J. Beard Real Estate Company has the expertise to handle all of your commercial real estate needs. For leasing, property sales, management, property acquisition, or investment advice, give us a call. We can provide insight into the greater Houston market that only comes after hundreds of transactions of all types. Each of our experienced associates has deep roots in the local area, and becomes more than just an agent and transaction processor. They are your trusted resource and will help you navigate the ups and downs of the Montgomery and Harris County markets. All of us at The J. Beard Real Estate Company are invested in providing you with the absolute best commercial real estate experience possible. We are here for the long term, and believe that the relationships we develop are far more important than any short-term successes we might achieve. Founded in October 2003 by Jeff Beard, CCIM, The J. Beard Real Estate Company, L.P. is one of the largest, full-service commercial real estate companies in the Greater Houston area. 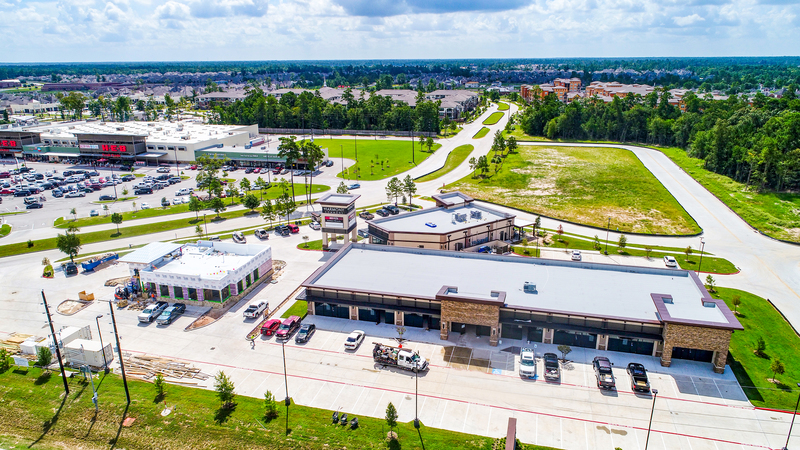 The company first established itself in the North Harris/Montgomery County commercial marketplace before expanding into a major Houston-area real estate presence. The Houston Business Journal consistently ranks the company as one of the top 20 largest Houston-area commercial real estate brokerage firms. Facilitating hundreds of transactions annually, The J. Beard Real Estate Company provides clients with unparalleled market knowledge and the insight, leadership and unique expertise for their success. 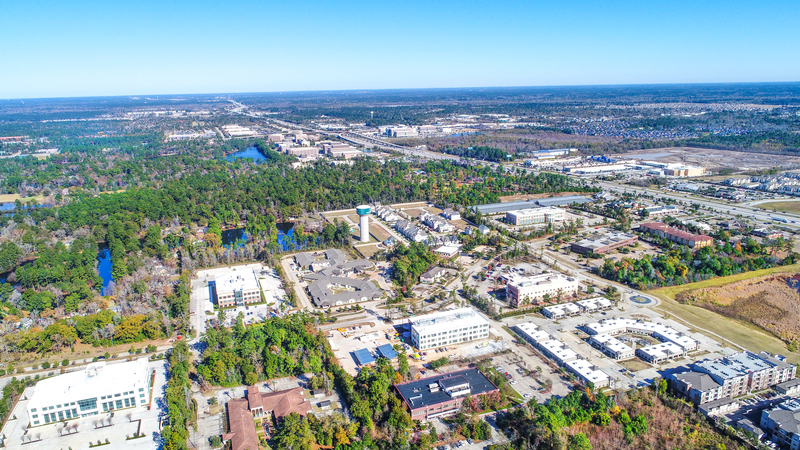 We actively market more than 200 retail, office/medical professional properties, industrial and a variety of land tracts, across the Houston area, including popular areas like The Woodlands, Spring, Shenandoah, Tomball, Magnolia, Conroe, Willis, Montgomery, Kingwood and Atascocita. The firm earns its wide range of clients and property through experience, the ability to identify business opportunities and complete transactions efficiently and effectively. Through our long-time affiliations, market presence and personal contact with tenants, brokers, owners and developers, we have developed comprehensive market data for the benefit of our clients. Our firm takes pride in representing a diverse client base, including major REITs, financial institutions, regional partnership, joint ventures and private investors. The ability to maintain these relationships signifies the strong character of our team. One of our distinguishing characteristics is our team’s passion. 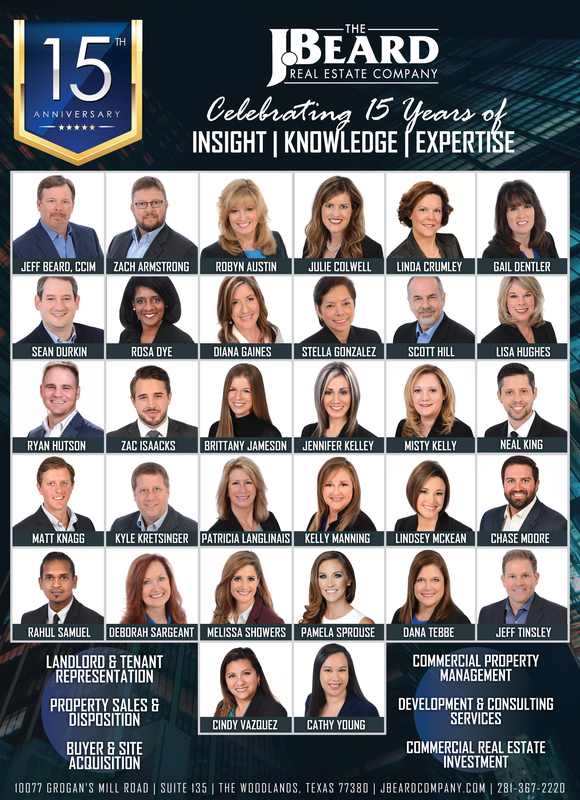 Our associates average over 15 years’ experience each in the commercial real estate industry and represent a unique combination of competence and determination. The J. Beard Real Estate Company believes in negotiating directly, honestly and with integrity, which ensures our clients’ best interests are represented at all times.